We often try to avoid visiting the doctor for life’s little aches and pains - after all, some amount of pain is to be expected over the course of our lives, whether due to injury or illness or simply over-exerting ourselves while exercising or going about daily tasks like gardening. In many cases, small amounts of pain due to exertion or other normal causes will ebb and flow on their own, without any need for medical intervention. However, pains—even minor discomforts—in the chest, throat, jaw, arm or belly could also indicate serious cardiac problems. Some people with heart problems mistake their initial symptoms for stomach or intestinal problems. Heart trouble can even mimic simple acid reflux. If you experience unexplained, persistent discomfort in any of these areas, and you know you have high risk of cardiac problems, please visit a doctor. Let’s be honest: headaches are a nuisance that we all have to live with at some time or another. 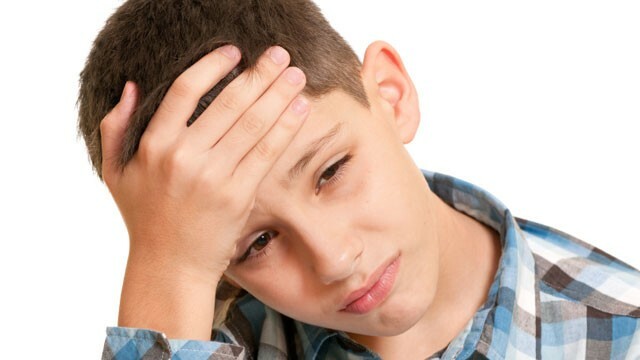 Often, headaches happen due to easily remedied issues like dehydration, sinus congestion or tension. And can be solved with drinking lots of water, using a neti pot, and taking a time-out to meditate on a regular basis. However, if you’re gulping down fluids and keeping calm but your headache still isn’t going away, it’s best if you mention it to your physician. An awful headache (the worst headache of your life) that just won’t budge may be a sign of brain bleeding, which requires immediate emergency care. We’ve all had back pain at one time or another, due to sitting long time on the computer, poor posture, working hard in the garden or starting a new excessive program. Backache is one of the most common physical complaints, and many people suffer from it chronically. However, a sudden ache in the lower back or the area between the shoulders could indicate a deadly tear in the aorta, the main blood vessel running to the heart. Such a tear—called an aortic dissection—is critically serious, and needs to be attended to by medical professionals right away. If you have a backache or a pain between the shoulders that can’t be accounted for and you are at risk of having conditions such as high blood pressure, circulation problems, smoking, and diabetes, please see a doctor immediately. Sudden, sharp and extreme abdominal pains should be investigated by a doctor right away. Conditions like gallbladder issues (including gallstones), pancreatitis, a stomach or intestinal ulcer.